I saw Dunkirk, yawned, and went to bed. I woke slowly to the ripping roar of jet engines at dawn (I had crashed at a friend’s house near SeaTac) and before opening my eyes, realized with a jolt: That’s what Christopher Nolan was doing! “That” is the grand experiment of Dunkirk. Walking out of the theater at midnight, I had been so restless with disappointment that Nolan’s little stunt completely dodged me. (Spoiler-haters, leave now.) The director of Batman-trilogy fame is always experimenting with something—Can he tell a story backwards? Can he tell a movie in four acts? 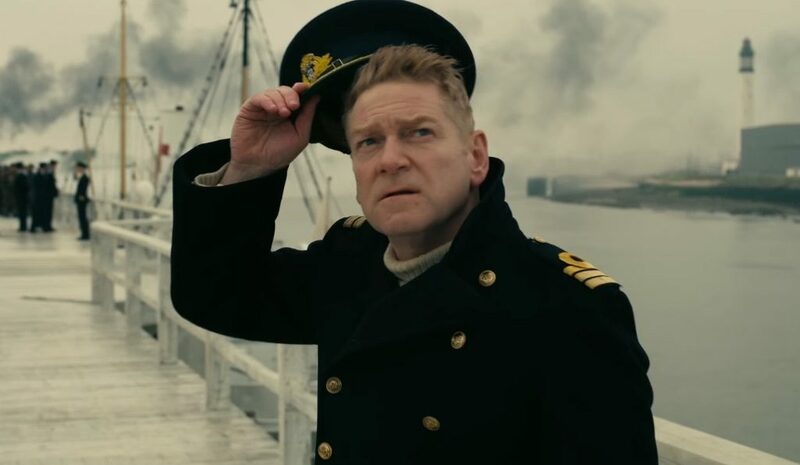 Answers are yes and no—and in his own words, Dunkirk is his “most experimental structure” since he cut his directorial teeth on Memento. Which is how Dunkirk must be judged—as an experiment. Overall, it works as an experiment more than it succeeds as a war movie. 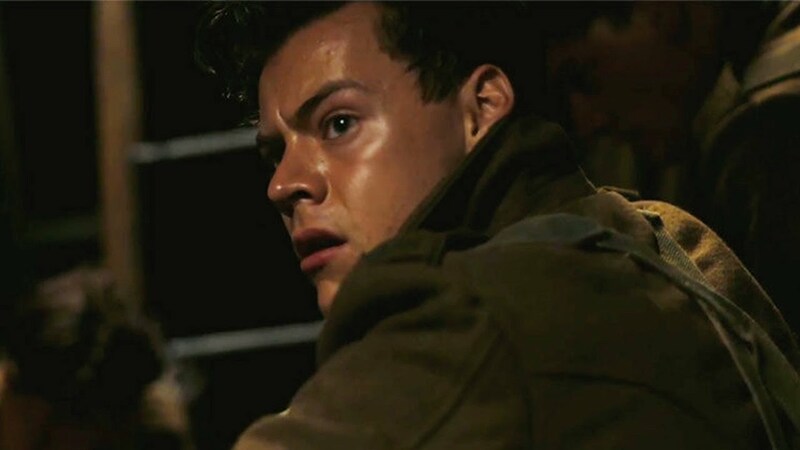 Dunkirk is visionary, unorthodox, and—nearly impossible in a seemingly infinite universe of WWII movies—completely one of a kind. It takes your breath away like a battering ram…and feels stupefyingly barren. I can’t remember ever being so underwhelmed by 100 minutes of awesome. Given the movie’s radical triumph across the technical board (cinematography, photography, film editing, casting, acting, music, sound editing), its sins of omission in character/dialogue are baffling. Nolan doesn’t fail on the grand scale, he slips in the basics. What’s this, Christopher? Since when have you packed in too little? 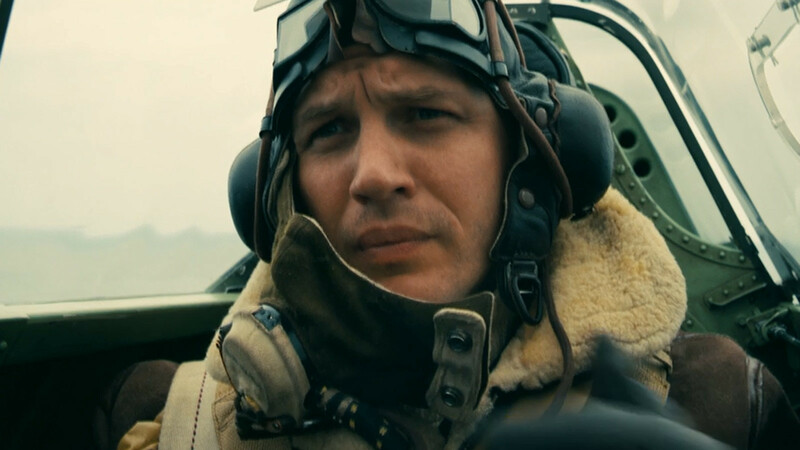 Had Nolan loved his characters as much as he loved his brainy idea, had he determined to tell the story of Dunkirk more than he desired to pull off a magic trick, Dunkirk could have been truly stunning. As it is… Like I said, I yawned and went to bed. The movie unspools in a concentric triad of stories, each on its own clock: one week with the soldiers on the beach (featuring a nameless British infantryman played by unknown Londoner Fionn Whitehead); one day with a civilian sailor (Oscar-winner Mark Rylance) crossing the channel; and one hour in the sky with the coolest pilot since Luke Skywalker (Tom Hardy, who, after The Dark Knight Rises and Mad Max, has become an expert in show-stealing while hiding behind a mask). So, make no mistake, Nolan’s experiment is a total prizewinner. I defy 2017 to find a more cunning or powerful framework on which to hang a story. The story, however, is wanting. Nolan nails the truth of emotions but not enough truth of what and who and when and where and why. He drops us in the middle of the war with too little explanation. Many critical historical details are either manipulated (e.g., Churchill’s orders to evacuate the French; he directed explicitly and repeatedly that they were to be rescued alongside the Brits) or, more often, completely missing. What have the British and French armies been up to till now? Why evacuate? Where are the German Panzers? Where is the RAF? These details should have been clearer, because a captive audience is not necessarily a happy audience. We need to know, not just feel. Despite the gritty details of ear-piercing gunshots and faces slicked with oil and the awe-kindling glory and terror of dogfights over open ocean, the movie’s effect is yawningly impressionist. The bulk of the film becomes an odd mix of realism and nonrealism. Nolan’s dream of creating an immersive experience is superbly realized for the most part; frequent close-ups, stunning sound realism, and the strangulation effect of the off-kilter scene structure create an almost unbearable tunnel vision as you feel like you are there…and you probably aren’t getting off the beach alive. But then the spell breaks. Just take the dialogue. The film is so taciturn, the rare conversation sounds wrong. When thousands of soldiers who would be speaking aren’t speaking, I drift out of the movie’s clutches. Never mind, Nolan, I’m not on the beach—I’m in a theater wishing I could rewrite the script. But the biggest problem is the hero. The young soldier is completely unknowable. Where does he come from? Why does he fight? Who’s praying for his return back home? Nolan, of course, does not withhold these details by accident. I simply disagree that reticence was the best tactic. Even Fionn Whitehead’s sympathetic, barely-needs-to-shave face can’t emote enough for us to care as deeply as we should for the lead. I connected with him for five minutes; then I started critiquing him, wondering when this supposedly archetypal soldier was actually going to become a 3D human being. 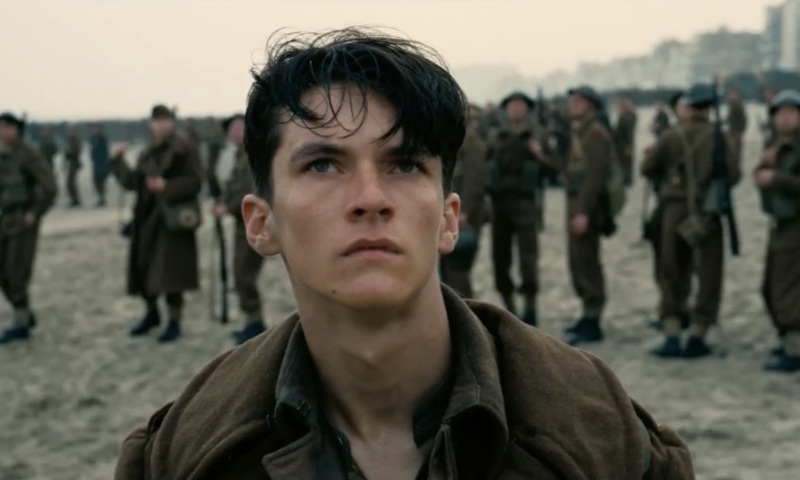 Nolan, in his attempt to create the British Everyman, gives us a British No-man. Let me take down two counterarguments. First: Nolan notes that the miracle of Dunkirk is so familiar in Britain that it is “part of the national DNA.” True. A well-informed audience requires less teaching. I still say the movie needs additional historical details in order to pack the ultimate punch. A music buff may very well know every minute of Beethoven’s Ninth, but you still deliver the proper melodic build-up if you want them to appreciate the pinnacle cymbal crash. Second counterargument: Nolan deliberately suppresses information in an effort to put us in the boots of the soldiers who had no clue what was going on: “Part of the terror, part of the real sense of fear and isolation and vulnerability of these men, was not knowing what was happening.” I like it. But he deprives us of information that even the British army knew, such as what they’ve been doing in France and Belgium until now, why they expect the navy and RAF so intensely, and their own names, for goodness’ sake—information that would have helped us feel one with them and their terror. Just a bit more explanation—in the name of tension, Nolan’s guiding star—would have done wonders. Here’s an example. Nolan should have demonstrated better just how dire the situation had become by the time the makeshift armada appears on the horizon. In history, every man on the beach was wondering, Where’s the bloody fleet? Where are the destroyers? Where are our people? In the film, maybe one or two people even voice this concern. The audience loses track of the expectation that any minute, the world-famous British navy, the ships that built her glorious empire, should appear. Crank it up! Who fell asleep at the suspense switch? But thanks to the film’s lack of communication and the constant blur of death and stress, you forget it’s the eleventh hour. The rescue is a comparative whimper. 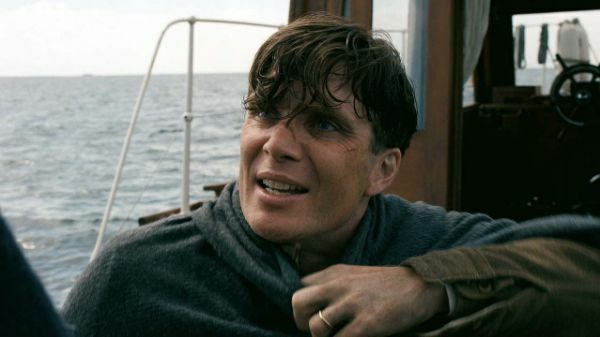 But to steer this back to positive, Dunkirk has many, many stellar sequences. The dogfights are especially alive as the dueling planes carve calligraphic wakes in the atmosphere at impossible angles and dizzying speeds, captured by IMAX cameras strapped to the wings of real Spitfires. (Yes, the camera attached to the ditched plane really sank. Nolan shipped the soggy film back to LA where technicians processed it, dried it out, and produced perfect footage of the flooding cockpit. The take appears in the movie.) The eternity of sky above and sea below on the skyscraperish screen is entrancing. If you’re within 300 miles of a 70mm IMAX theater, get thee to a 70mm IMAX theater. But perhaps the single biggest reason the film succeeds at all, certainly the most important character, is the one who does the most talking: Hans Zimmer. He helps create (and then amplifies) everything best about Dunkirk. The soundtrack is a sonic revolution. The barrage of metallic groans and unnerving brass wails (invoking the infamous “Jericho trumpet” sirens of dive-bombing German Stukas) are so thunderous, my chair and body vibrated, and veterans of the evacuation declared it louder than the actual bombardment (a reaction which amused Nolan). The soundtrack marches to a ceaseless ticking (recorded off Nolan’s watch)—not the first time Zimmer has looped Chronos into his music. You can hear a similar beat in Sherlock Holmes and Interstellar. But the pulse is particularly ominous in Dunkirk. Add to this Nolan’s favorite auditory illusion known as the Shepard tone, in which ascending notes, each an octave apart, are subtly layered to create an infinite corkscrew of pitch (occurs notably in tracks “Supermarine” and “The Oil”), and the result is a soundscape of relentless tension that perfectly matches the matryoshka of storylines. We shall go on to the end. We shall fight in France, we shall fight on the seas and oceans, we shall fight with growing confidence and growth strength in the air. We shall defend our Island, whatever the cost may be. We shall fight on the beaches, we shall fight on the landing grounds, we shall fight in the fields and in the streets, we shall fight in the hills. We shall never surrender. Thanks to Churchill (and Nimrod, and sunset, and the fact that Tom Hardy ends up surrounded by Germans with a “molon labe” look on his face), you do get some sense of this victory. But overall, I got bulldozed by sheer sound and urgency and bounced back way too soon. One should not be able to recover so quickly from any WWII film, much less one of Christopher Nolan’s. Dunkirk does brilliant things with time. I just wish it had done more with the time it was granted. You beautifully summed up what I couldn’t even put into words. All the way through I was preparing to watch everyone on the screen die, yet I had no attachment to any of the characters because I didn’t know anything about them.